Israeli police investigations revealed Tuesday that a youth, 21, who claimed she was kidnapped by Palestinians in Beit Jala, was in fact in a vehicle with “people she already knows”. A Ma'an reporter said that the Israeli police met with two youths that she claimed “kidnapped” her, to investigate them. The Jerusalem police had received a call by a Jewish youth from Jerusalem saying that his friend, who works in a gas station near Betar Illit, was kidnapped by two Palestinians in their car, and that she was kept in a building near the Palestinian town. Israeli forces in Hebron and Gush Etzion tracked the phone call until they found her in a building in Beit Jala. The youth said she finished her work and met a Jewish friend and went to a passenger station while speaking on the phone with her friend, who later called the police when a white vehicle stopped and “forced her inside”. The Israeli police and forces were still searching the area for the two suspects, while the girl and her mother were sent to Gush Etzion's police center to testify and report more details. It was later determined by the police that she was not kidnapped and that she knew the two Palestinians and went inside their vehicle on her own. Israel on Tuesday paid an emotional farewell to three teenagers killed in the West Bank, while vowing to hunt down the Hamas militants it holds responsible for their kidnap and murder. 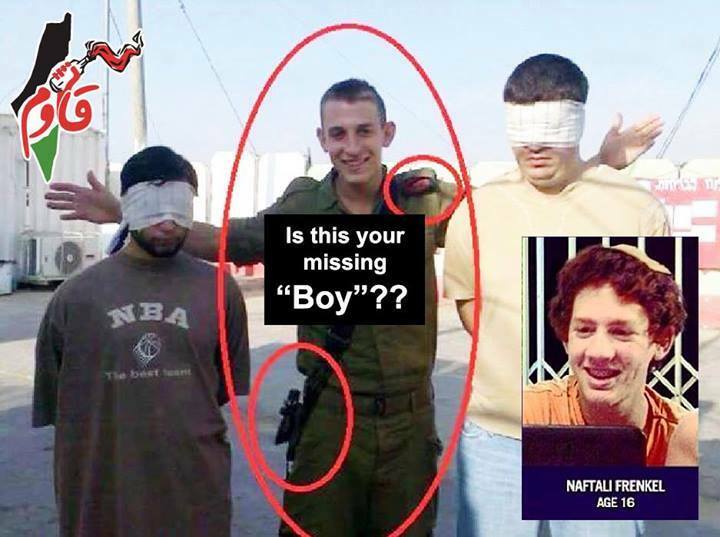 The disappearance of Gilad Shaer and Naftali Frenkel, both 16, and 19-year-old Eyal Ifrach, from a roadside in the southern West Bank on June 12 and the hunt for their kidnappers has gripped the Israeli public, triggering an outpouring of public grief and anger. But the drama drew to a bitter end on Monday when troops uncovered three bodies in a field in the West Bank. All three had been shot in a triple murder blamed on militants from Hamas. Twenty-four hours later, tens of thousands of mourners from across the country packed into the cemetery in Modiin in central Israel to pay their last respects at a ceremony attended by Prime Minister Benjamin Netanyahu and President Shimon Peres. "I know the pain of mourning. There is nothing worse than that," said Netanyahu standing by the three coffins, each draped with a blue and white Israeli flag. Israel has vowed it will exact a high price from Hamas for the murders, but at the funerals there were no calls for bloodshed or revenge. "I managed to speak to you just before you set off home. I heard your peaceful and loving voice ... and now you've come home to us," said Ofir Shaer, addressing his son Gilad, his voice hoarse with emotion. "Now Mum and I are facing the biggest challenge of our lives." "Rest in peace, my son," said Naftali's mother Rachel Frankel, her voice cracking with emotion in a departure from the image of strength she had consistently projected in multiple public appearances since June 12. The story has received almost blanket coverage in Israel since the three students disappeared, with thousands of people turning out for a mass prayer session at the Western Wall in the Old City, and again in Tel Aviv on Sunday. "This has become a spontaneous day of national mourning," Netanyahu said at the funeral, addressing a crowd that stretched as far as the eye could see. The teens were likely shot dead soon after they were picked up, with their bodies buried in a field near Halhul, just 10 minutes from where they were last seen. "We know how to settle accounts with Hamas. We will not rest until we lay our hands on them," Defense Minister Moshe Yaalon said. There has never been any credible claim of responsibility for the abductions, and Hamas has described Israel's accusations as "stupid." Israel has vowed to hunt down the killers, and the security cabinet was to meet for a second night on Tuesday to discuss how to deal with Hamas, officials said. Netanyahu was expected to give a brief statement at 1730 GMT at the start of the meeting at the defense ministry in Tel Aviv. A string of hardline MPs and ministers have demanded Israel deal a crushing blow to Hamas, whose stronghold is in the Gaza Strip. But ministers are sharply at odds over the right course of action, army radio reported. An Israeli official told AFP that Yaalon had suggested a "measured" military response, and Netanyahu was inclined to accept his position. He also proposed turning a former West Bank army base into a new Jewish settlement in their memory, the official said, confirming a report by Haaretz newspaper. Commentators said Netanyahu was unlikely to seek a major escalation. "The prime minister is expected to refrain from an excessively fierce reaction because of (the Muslim holy month of) Ramadan and the fear of the reactions that a large-scale military operation might elicit," Yediot said. 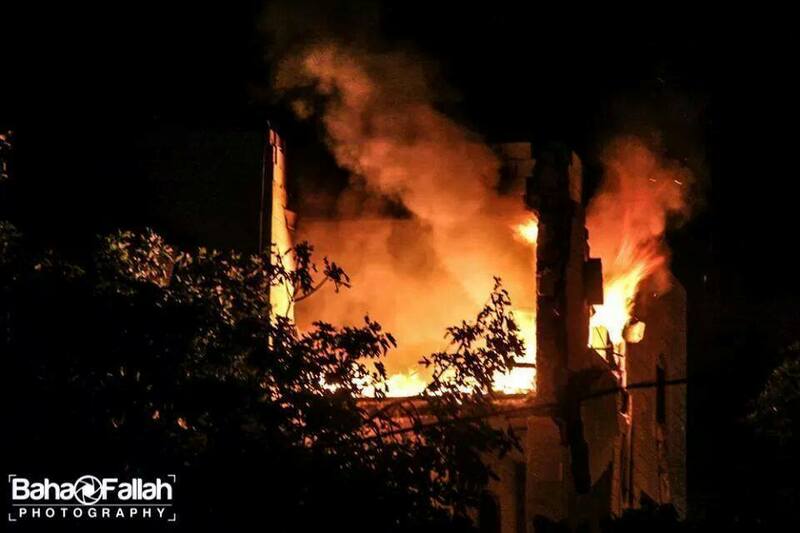 Although Israeli warplanes pounded Gaza hitting 34 targets overnight, nobody was killed and only four people were hurt. Hamas has warned any Israeli attack would "open the gates of hell." Two Hamas men named by Israel as the prime suspects -- Marwan Qawasmeh and Amer Abu Eishe -- remain at large, although troops blew up their homes on Tuesday, witnesses said. Since June 12, Israel has arrested 419 Palestinians arrested, two thirds of them Hamas members, and six Palestinians have been killed in clashes triggered by the operation. Gaza militants have also fired dozens of rockets at southern Israel since June 12, prompting Israel to stage dozens of retaliatory air strikes which have so far killed three Palestinians. Nine rockets more rockets struck the south on Tuesday, the army said. 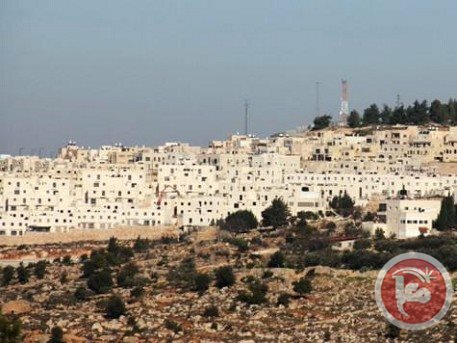 A group of settlers from Maale Adumim east of Jerusalem set up tents Tuesday in the “E1” area in an attempt to control it, Israel's Rechet Bet radio reported. Settlers demanded that the Israeli government respond to the killing of the three Israeli settlers, who went missing on June 12 and were found dead Monday night. 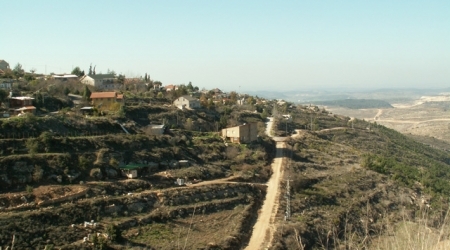 Another group of settlers seized the Gifaat Uz area near Gush Etzion settlement in southern Bethlehem. Israelis assaulted two Palestinians in west Jerusalem on Tuesday in suspected racist attacks following the announcement that the bodies of three missing Israeli teens were found a day earlier, family said. Khalid Atiyeh, 24, was attacked by dozens of Israelis while working in a restaurant in the Pisgat Zeev settlement, his father told Ma'an. The attackers broke into the restaurant chanting "Death to Arabs!" before assaulting Atiyeh with clubs and stones. Israeli forces intervened and forced the assailants back, but Atiyeh was followed by a group of Israelis while reporting to a nearby police station. A police spokesman told Ma'an he was not familiar with the incident. Meanwhile, a 17-year-old Israeli attacked a Palestinian taxi driver with pepper spray late Monday, Israeli police spokeswoman Luba al-Samri said. The youth was detained following the incident. 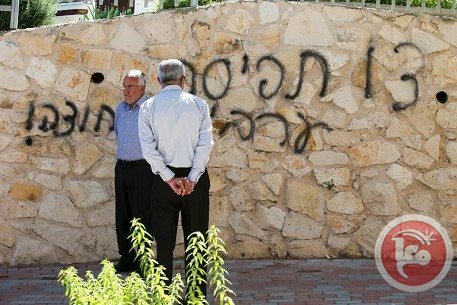 Racist anti-Palestinian graffiti was also found near the city of Beit Shemesh, Wafa reported. 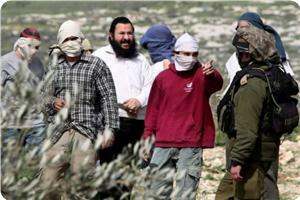 Israeli extremist settlers attacked on Monday evening several Palestinian homes in Kharsia area in al-Khalil. Eyewitnesses told the PIC reporter that Israeli setters stoned Palestinian homes and vehicles in different parts of al-Khalil amid intensive presence of Israeli occupation forces. On the other hand, violent clashes erupted near Halhul Bridge on Monday when Israeli forces fired live bullets and tear gas bombs at Palestinians. IOF soldiers have also intensified their presence in the area and prevented Palestinian vehicles from passing through the bridge, the sources added. Clashes broke out near homes of Amer Abu Eisha and Marwan Qawasma, the two suspects in the killing of three Israeli settlers who went missing two weeks ago. Sound and tear gas bombs were fired during the clashes. Marwen Qawasma’s mother was detained for several hours outside her home in order to exert more pressure on the suspects. In Bethlehem, Israeli settlers threw stones at Palestinian vehicles southern the city while an Israeli settler ran over a Palestinian 9-year-old girl. Local sources revealed that Israeli settlers from Etzion illegal settlement threw stones at Palestinian vehicles, which led to heavy material damage. No injuries were reported so far. On the other hand, an Israeli female settler ran over the girl Sanabel Tous, 9, from al-Ja'aba village in Bethlehem before fleeing the scene. The child was transferred to hospital for treatment in very critical condition, according to the PIC reporter. The Israeli Occupation Forces killed Yousef Abu Zagh, 16 years old, during a military raid in Jenin refugee camp this morning. Medical sources have reported that Yousef was shot in the chest with live ammunition during the clashes that took place when the Israeli army entered the refugee camp. He was immediately taken to a hospital but he was pronounced dead shortly afterwards. The Israeli Occupation Forces claim he was trying to throw an explosive device to them, and that they only opened fire in order to stop the threat. In Bethlehem, a 9-year-old girl, Sanabel Mohammed Tus, was injured last night after being run over by a settlers’ car in the village of Jaba, south of the city. throwing stones in the Gush Etzion settlement area to Palestinian vehicles, causing considerable damage to them. In Hebron, another man was injured after being run over by a settler in Jaber village. He has been identified as Ashraf Noah Idris, 28 years old. The Israeli Occupation Forces had found on Monday evening the bodies of the three Israeli settlers that had been missingsince the 12th of June, in the West Bank village of Halhoul. In two separate incidents, Israeli settlers ran over a Palestinian youth and a child on Monday night in the West Bank, they sustained different injuries. Local sources said that settlers ran over Ashraf Edrees, 28, while he was crossing the main street in Jaber village near Hebron. Another Israeli settler ran over a Palestinian child from al-Ja'aba village in the West Bank city of Bethlehem. The girl was identified as Sanabel al-Toos, 9. Medical sources reported that the girl sustained critical injuries. A young Palestinian man was injured after being assaulted by Israeli forces in the center of Hebron amid clashes between Palestinians and settlers late Monday, locals said. Dozens of Israeli settlers attacked Palestinian homes and clashed with Palestinians in the Tel Rumeida neighborhood after the bodies of three Israeli teens were found north of Hebron hours earlier, witnesses told Ma'an. The sources said that soldiers then arrived as clashes were ongoing and beat 19-year-old Sajid Mamoon Sultan, seriously injuring him in the head. An Israeli army spokeswoman did not immediately comment on the incident. Meanwhile, hundreds of Israeli settlers from the Kiryat Arba settlement marched to the Old City of Hebron and chanted slogans calling for retaliation for the deaths of the three teens, locals said. Three dead bodies, believed to be those of the teens who went missing from the Gush Etzion settlement on June 12, were found by Israeli forces near Halhul north of Hebron late Monday. Israeli forces have killed six Palestinians in the West Bank military operation that followed the disappearance of the three Israeli teens. 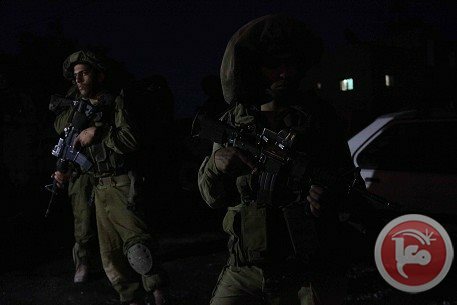 Palestinian medical sources have reported that dozens of residents, including an infant, have been injured and that at least two people were kidnapped, in a series of military invasions into the southern West Bank district of Hebron, late on Monday night, and on Tuesday at dawn. Medical spokesperson of the Popular Resistance Committee in Hebron, Mohammad Awad, stated that two Palestinians, identified as Mohab Jawdat ‘Aady, 18, and Baha’ Awni Ekhlayyel, 19, were shot in their legs by rounds of live ammunition, and were moved to a local medical center. The two were injured during clashes that took place when dozens of soldiers invaded the Safa area, north of Beit Ummar town. Several Palestinians suffered the effects of tear gas inhalation, and many were hit by rubber-coated metal bullets. The soldiers also blocked several roads in different parts of the district. In addition, dozens of soldiers invaded the home of resident Mahmoud Bregheeth, after detonating the front door and violently searching the property, causing excessive damage. In Hebron city, soldiers kidnapped Hani Abdul-Karim Zghayer, 19, and Yahya Nasser Ed-Deen, after searching their homes. Also, an infant, identified as Bara' Bilal al-Qawasmi, 40 days of age, was injured when the soldiers detonated the main door of his family's home. He was shot by glass fragments to various parts of his body. In related news, a young Palestinian man was injured after being rammed by a settler’s car, in the Jaber neighborhood of Hebron city. Eyewitnesses told WAFA that the settler deliberately targeted, Ashraf Nouh Edrees, 28, and fled the scene. The extent of injuries remain unknown as Israeli soldiers moved the wounded Palestinian, either to a military base, or to a hospital; no further information was provided. Israeli human rights group B'Tselem on Monday called on the Israeli government to refrain from acts of vengeance after the bodies of three missing Israeli teens were found near Hebron. "B'Tselem cautions the security forces to avoid harming the innocent Palestinian population, or abusing the public atmosphere in Israel with the discovery of the bodies, to impose collective punishment, as was done in the past two weeks as part of the searches," the group said. "The deliberate harming of an entire civilian population as punishment for the actions of individuals is both illegal and immoral." The group also warned that Israeli security forces must prepare for possible acts of revenge by settlers. Earlier, the group strongly condemned the abduction and killing of the three Israeli youths, calling the incident a "grave breach of international humanitarian law, and cannot be justified, regardless of the circumstances." Israel's Haaretz newspaper reported that the bodies were found north of the town of Halhul, near Hebron in the occupied West Bank. It said a large contingent of Israeli security forces were in the West Bank between Halhul and the illegal settlement Karmei Tzur. Earlier, Al-Jazeera said that three bodies had been found west of Halhul near Hebron, citing Israeli sources. According to the Al-Jazeera report, Israeli sources said it was confirmed that the bodies belonged to the three missing Israeli teenagers. Israeli news site The Times of Israel said that Israel's security cabinet was to convene an emergency session at 9:30 p.m. The site also reported that clashes had broken out between Palestinians and Israeli forces in Halhul. An Israeli military spokeswoman told Ma'an the army was looking into the reports. The Israeli army confirmed Monday evening that authorities have located the bodies of three Israeli teenagers abducted last month as they made their way home from their religious school in the West Bank. While few details were released on the exact fate of the three teens, security officials said the bodies of Naftali Fraenkel and Gilad Shaar, both 16, and Eyal Yifrach, 19, were found in an open area close to Hebron, in the West Bank. Security officials said the bodies were found Monday near the village of Halhul, near the location where the teens disappeared, the Associated Press reported. The Israeli army has carried out a wide-ranging search operation in the West Bank since the teens disappeared on June 12. 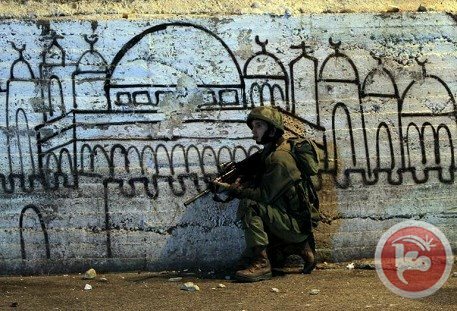 As well as searching the area around Hebron where they disappeared, for the first time in nearly a decade Israeli forces entered numerous Palestinian towns and cities, arresting more than 400 Palestinians, mostly members of militant Islamist group Hamas, and killing five Palestinians in the process. Israel has charged that Hamas, the Palestinian group that rules the Gaza Strip, was behind the kidnappings, an accusation that Hamas officials have denied. Israel and the United States consider Hamas a terrorist organization. On Thursday, Israel released the names of two suspects it said carried out the kidnapping. Israel said both men are known Hamas operatives and both have been missing since the three Israeli youths disappeared. On Sunday, Palestinians reported that the wife of one suspect, Marwan Kawasme, had been questioned by the Israeli military and that the father of the second suspect, Amer Abu Aisha, had been arrested. 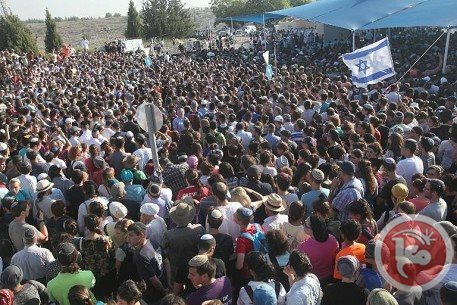 Also on Sunday, thousands of Israelis joined the families of the three teens to rally for their safe return. Israel’s security cabinet, headed by Prime Minister Benjamin Netanyahu, convened Monday night to discuss action following the discovery of the bodies. It was not immediately clear what the Israeli response would be. Over the past two weeks there has been a sharp escalation in violence between Israel and militant groups, including Hamas, in the Gaza Strip. Israeli military said in a statement Sunday that more than 50 rockets had been fired from Gaza into Israeli territory. In response, Israeli army jets have pounded targets in Gaza. One Hamas operative was confirmed dead Sunday. In response to the increase in Israeli airstrikes, Hamas released its first official statement Monday, accusing Israel of escalation tensions. “Netanyahu is trying to converse the realty, he should know that his threats do not scare Hamas. If he is willing to start a war in Gaza then the gates of hell will be open to him,” said the group in a statement. Israeli Foreign Minister Avigdor Lieberman said Sunday that Israel should consider reoccupying the Gaza Strip in response to the recent rocket fire, the newspaper Haaretz reported. Last week, Israel’s domestic security agency said the two Palestinians accused of carrying out the kidnappings are both operatives in Hamas. It said the two have been arrested previously for involvement in militant activities, including obtaining materials for explosives and recruiting other Hamas operatives. Hamas has consistently denied direct involvement, although its leaders have vocally celebrated the teens’ abduction and called for more Israelis to be kidnapped. Hamas recently began working in a new unity government with the Palestinian leadership in the West Bank. The kidnapping and the subsequent military operation have increased friction between Israelis and Palestinians, who just three months ago were in the midst of U.S-brokered peace negotiations. 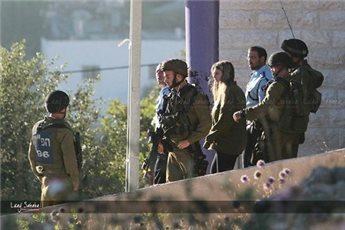 While searching for the abducted teens, Israel has pursued a parallel military operation to weaken Hamas’s infrastructure in the West Bank, arresting hundreds of Palestinians, most of them affiliated with Hamas, and closing down Hamas civilian institutions, including student organizations in universities, charities and television stations. Military experts, however, warned last week that continuing with the restrictions might create an even more volatile situation. Israeli journalists said Monday that security officials had discovered the bodies of three teenagers who went missing in the occupied West Bank on June 12. A reporter from Israel's Haaretz newspaper wrote on Twitter that the teens' bodies were discovered. One of them said a news blackout had been imposed until an official announcement. "There are indications that the Israeli army has found the bodies of the 3 kidnapped teens," Chaim Levinson tweeted. Levinson deleted his tweet shortly after posting. Al-Jazeera said that three bodies had been found west of Halhul near Hebron, citing Israeli sources. Three Israeli teenagers disappeared from the Gush Etzion settlement on June 12. 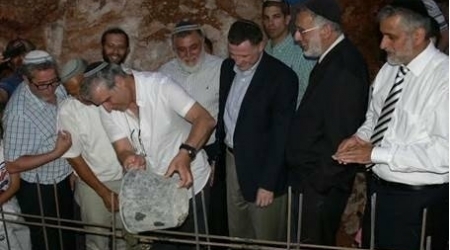 The chairman of Israeli Knesset " Yuli Edelstein " laid on Sunday evening the cornerstone for a settlement neighborhood in " Kochav Jacob " near Ramallah, with the presence of the former chairman of Shas Party " Eli Yishai " and " Avi Roaier", chairman of Ramallah region settlements board. The project includes building 60 settlement units, 3 synagogues and a new wedding hall . Edelstein said that it is a unique day when all Jewish spectrums unite to send a message to the world that religious people live with secularists in peace and love. It is noteworthy that Israeli occupation continues its settlement action in the West Bank at the expense of Palestinians' lands and their property, in a bid to consolidate its presence and expel Palestinians. 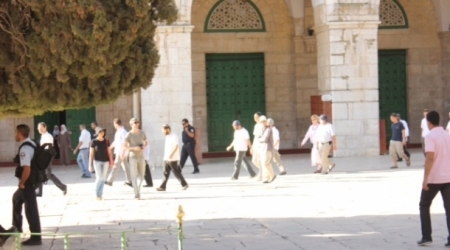 30 settlers stormed on Monday morning the courtyards of al-Aqsa holy mosque from al-Mughrabi gate. Palestinian worshipers faced storming attempt by 50 settlers ,and the IOF arrested one Palestinian student. Director of media of the Al-Aqsa Foundation for Waqf and Heritage Mohammed Abu Atta said in a statement to "ALRAY" that 30 women and college students from "Women for the Temple" and "students for the Mount Temple" groups stormed the courtyards of al-Aqsa from Mughrabi Gate before expelling them through al- Selsela gate. He stressed that defenders succeeded to confront the storming of al-Aqsa by 50 Israelis and foreigners, pointing out that the settlers belong to the alleged temple group. Abu Atta added that the intruders did provocative acts, and performed an obscene movements, pointing out that the Palestinian worshipers, students and the guards confronted them, and took them out beyond the walls of the holy mosque. He pointed out that the Israeli police arrested student Khaled Ebadi during facing the attackers.